The dentistry profession has come a long way since I last had work done. The new trend is to show movies to patients under the drill. Not unlike inflight entertainment, the viewing selections are all somewhere between populist and benign. Does it matter if I watch Paul Blart: Mall Cop two before one? The anxiety of having my old fillings fixed aside, a different type of anesthetized panic set in when I was shown my viewing options. Was I going to have to watch Pixels (2015) or computer-generated Smurfs flit about the screen while my molars got filled with resin? Cringing at the prospects, I spotted an escape, a title called “TV Cartoon Classics.” “I’ll take that,” I told the dental tech. The tech stared at the card for an uncertain second and shuffled off. When she returned, she explained that she was unaware that they even had it. “TV Cartoon Classics”, I figured, was no doubt a bunch of public domain cartoons like Herman the Mouse. 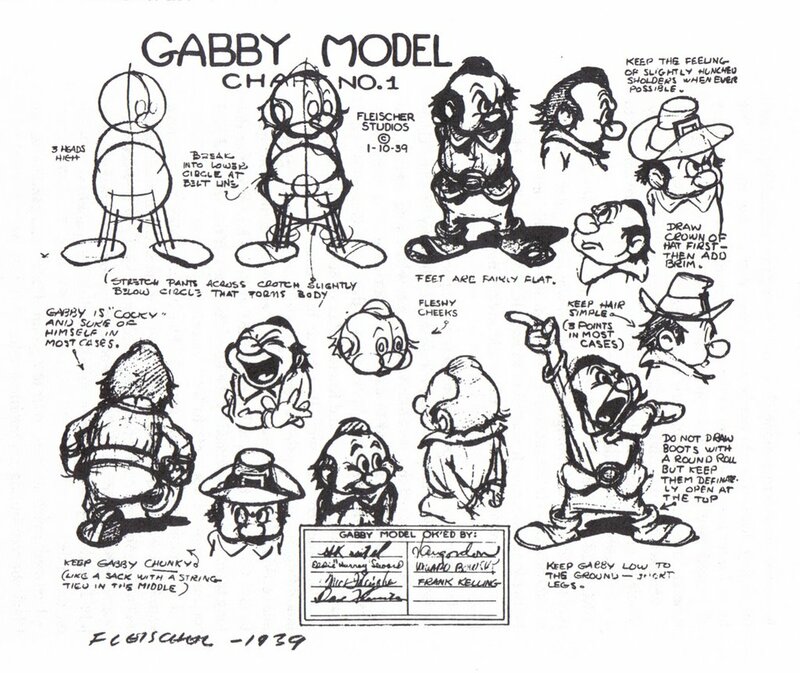 Over two separate weeks, and two separate visits, I watched all Max Fleischer’s Gabby cartoons (and a couple Hermans). 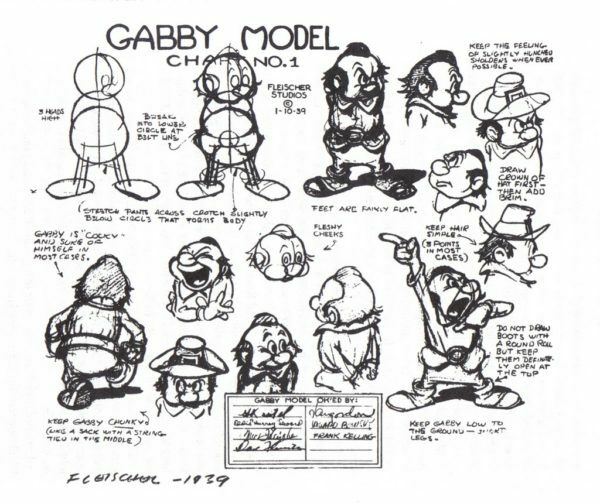 First appearing as the town crier in the 1939 feature Gulliver’s Travels, between 1940 and 1941 Gabby was given to Fleischer by Paramount to direct1. The odd reference to the Lilliputians aside, the Gabby series has little to do with Swift’s satire, with each cartoon following Gabby, a wisearce with a taste for wise apples, who gets involved in various jobs and activities which he claims to be an expert and proceeds to bungle. In Fire Cheese (1941), where Gabby becomes a firefighter, flames dance on buildings, blow blazes into each others’ mouths, and lick up the walls in hot ladders. Gabby, meanwhile, proves to be about as useful as Keith Flint giving pointers to Adele. Two for the Zoo (1941), my personal favorite, has Gabby claiming to be an authority on the fictional rubberneck kango, an animal that is a melange of kangaroo, giraffe, and elephant. By the cartoon’s conclusion, Gabby is locked in a cage as potential lion food. 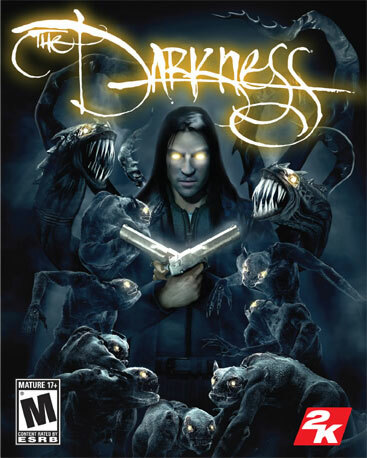 Besides dentists’ offices, a complete Gabby cartoon can also be watched in the first-person shooter video game The Darkness released in 2007. I’m not familiar with the game, but I like to think that Gabby is a favorite of the figure featured on the game’s cover art, a standin for The Downdward Spiral-era Trent Reznor2. I’m guessing, however, Gabby’s occurrence in the game has more to do with irony, entropy, and that which is anachronistic. In this light, it is probably no great shock that the Gabby animations are all but forgotten. The cartoon is perhaps too quaint and European in its sensibilities. Yet Gabby’s character is relatable and humorous enough; equally the cartoon’s sophisticated animation still shines through the faded public domain prints widely available today. Given the choice between it and the mediocrity of the Paul Blarts of the world, I’d still take Gabby. Hell, I’d take it over The Darkness, too.